Elsa Schiaparelli plays with the idea of a bow in this woollen jumper. She uses the trompe-l'oeil effect, which creates an optical illusion. The simple hand-knitted garment and its direct graphic image reflect the more relaxed attitude to formal wear for women in the late 1920s. The geometric, 'stepped' quality of the bow's curved outlines are an unavoidable technical feature of hand knitting. The designer exploits this feature and uses the design to hint at her later involvement with the Surrealist Movement: 'I drew a large butterfly bow in front, like a scarf round the neck - a primitive drawing of a child'. Schiaparelli wore the jumper to a society luncheon. It was a remarkable success and she received numerous orders. More amusing designs followed, including trompe-l'oeil ties and handkerchiefs. She soon opened her first salon, selling modish sportswear. 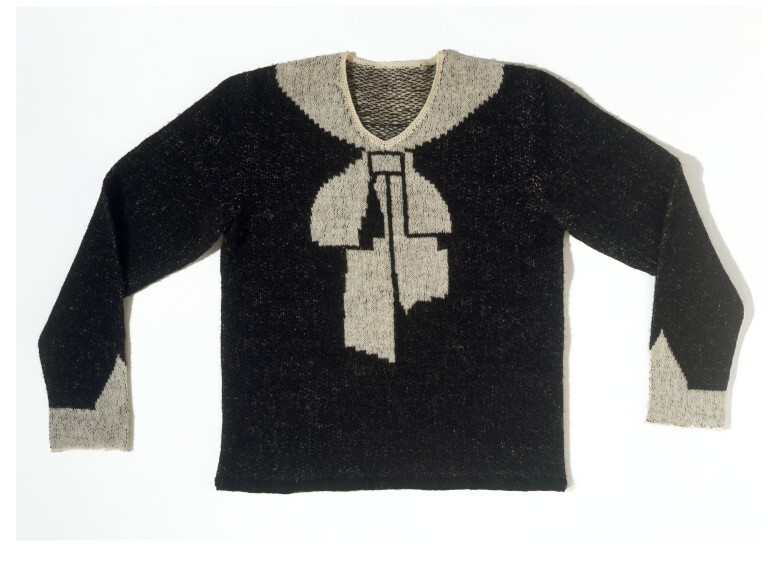 The success of this jumper resulted from Schiaparelli's combination of traditional crafts - in this case, knitting - with her own inventiveness and wit. Many of her later designs show her understanding of the fashionable potential of such combinations. The jumper forms part of the Cecil Beaton Collection. Sir Cecil Beaton was a society photographer. He contacted the well-dressed élite of Europe and North America to help create this lasting monument to the art of dress. The Collection was exhibited in 1971, accompanied by a catalogue that detailed its enormous range. Jumper of hand knitted woollen with a trompe l'oeil bow. 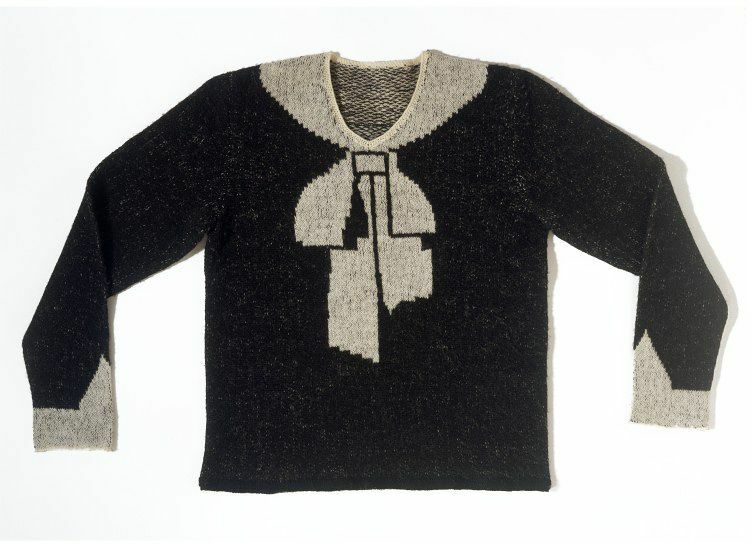 Jumper of hand knitted wool, 'Cravat', designed by Schiaparelli, France, 1927. In the 1920s sweaters and jersies, previously worn for work or sport, became fashionable for informal daytime wear. This 'trompe l'oeil' design jumper started Schiaparelli's career. Other, more outrageous sweater designs by Schiaparelli included tattoos and a skeleton. Like the cravat jumper, they were made by Armenian knitters living in Paris.